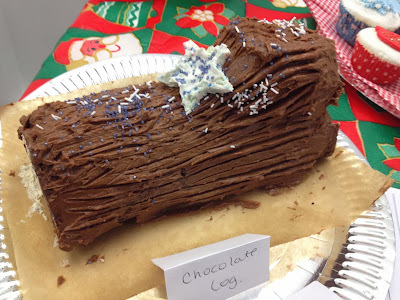 It appears that we just can not resist a bake off in the office where I work, the suggestion of a Christmas Bake Off certainly got the creative juices flowing. 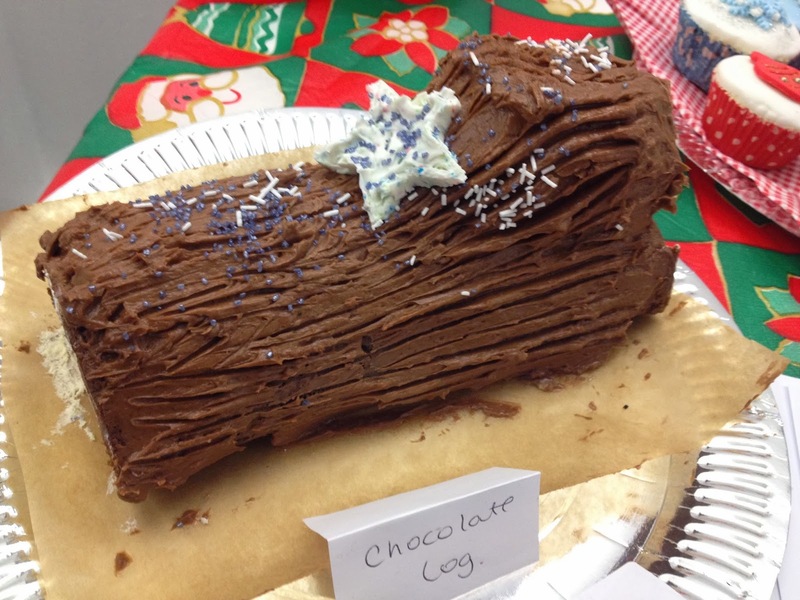 As you would expect there were a few Mince Pies entries, a few Yule Logs including one with a twist. 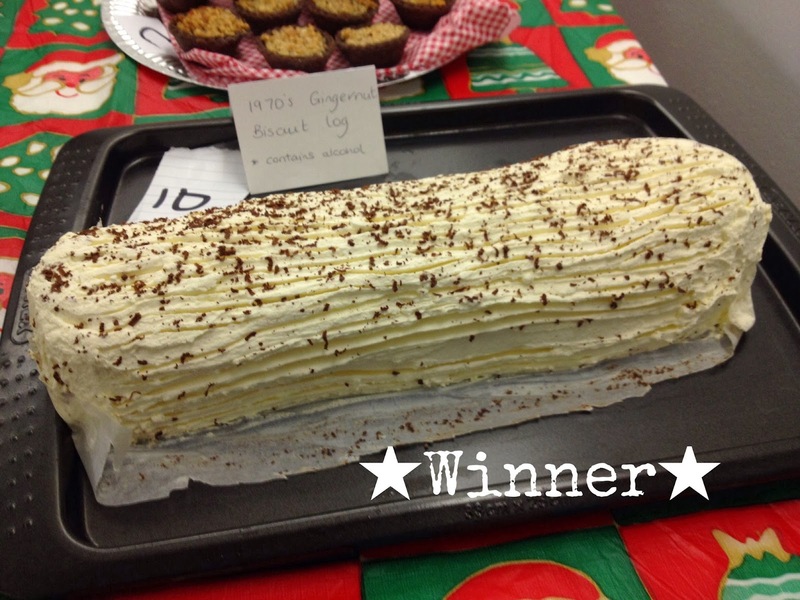 The winner was the 1970's inspired Ginger Nut Biscuit Log, it packed a powerful punch as the Ginger Nut biscuits were soaked in Sherry and then covered in fresh cream. It also saw the first man win the Office Best Baker title, not that we were in any way competitive. 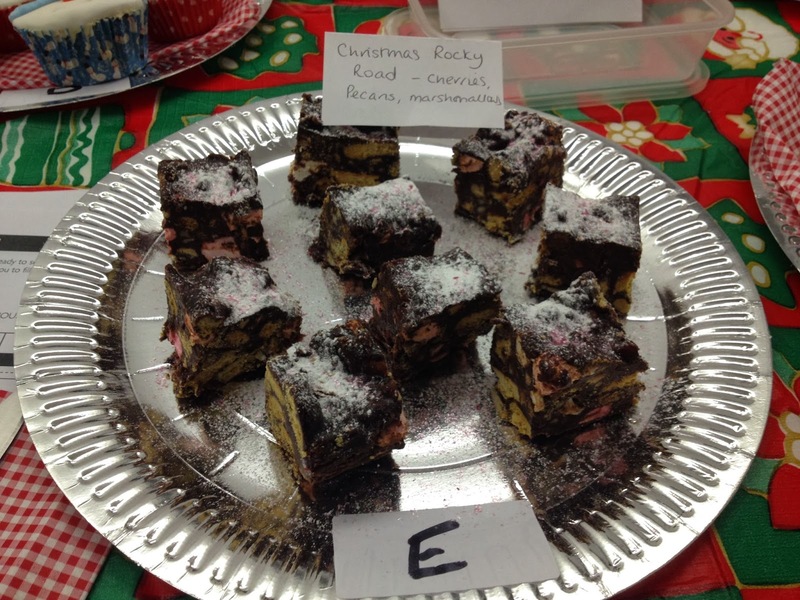 In second place was the Festive Rocky Road with its cranberries, pecans and glitter. 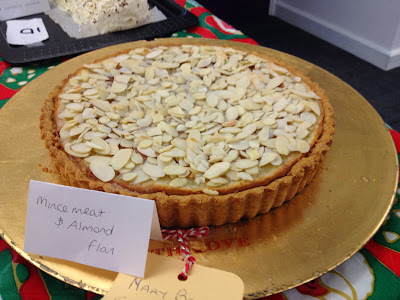 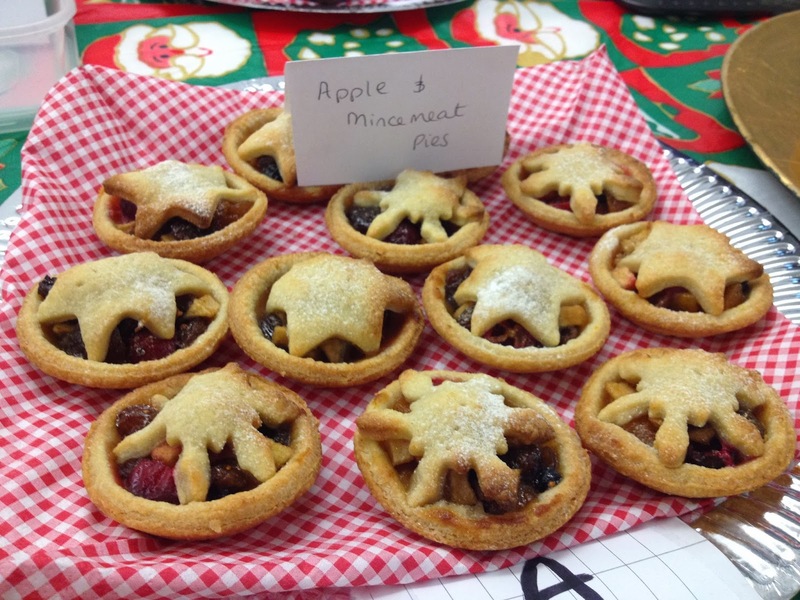 Placed third was the rather tasty Almond and Mincemeat tart, a Mary Berry recipe which was still slightly warm. The Office Bake Off also coincided with Christmas Jumper day, so it was only fitting all monies raised from selling off our bakes went towards #SaveTheChildren. 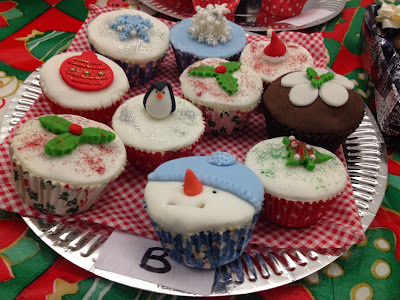 We raised a total of £136! 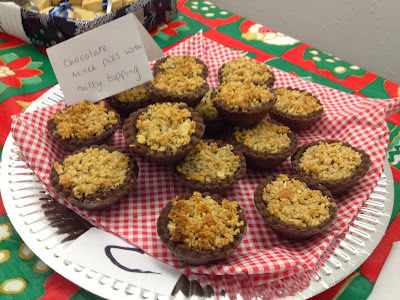 Chocolate Mince Pies with a nutty topping. 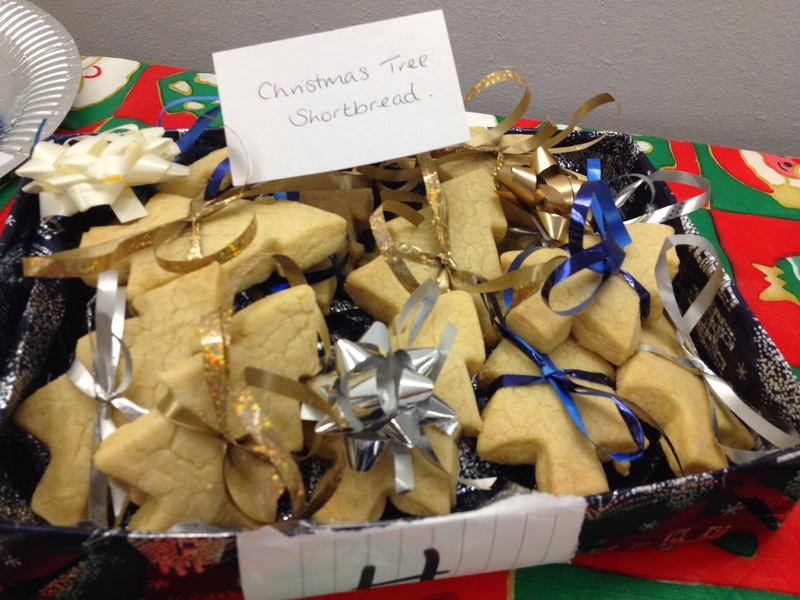 See my Shortbread Office Bake Off or my Loaf Bakes Office Bake Off posts.